The story goes that in the lead-up to a London gig last year, the master of ceremonies was talking to Jose Mourinho about his planned introduction. It involved a reference to the Portuguese being among the best managers out there, along with the likes of Pep Guardiola and Jurgen Klopp. He baulked at this idea though, insisting over and over that Klopp was in absolutely no way at such a level. Despite all his anger, there’s been so little revolution in how he goes about the game. Back in 2007, after his Chelsea played Liverpool in the Champions League semi-final, Jorge Valdano put his thoughts on the state of that game and the game in general into ‘Marca’. “Put a s**t hanging from a stick in the middle of this passionate, crazy stadium and there are people who will tell you it’s a work of art,” he penned. “It’s not, it’s s**t hanging from a stick. Chelsea and Liverpool are the clearest, most exaggerated example of the way football is going: very intense, very physical and very direct. But, a short pass? No. A feint? No. A change of pace? No. A one-two? A nutmeg? A backheel? Don’t be ridiculous. None of that. Pep Guardiola has since revolutionised the sport, particularly around the intricacy of pressing with an ever greater focus not so much on the ball but around the ball, and with a line of top coaches including Klopp learning from and adapting his methodology to suit. However, Mourinho is no different to what he was when he bugged Valdano. His approach back then was to put a big man up front, get him the ball and play off him. More than a decade on and all that changed was Roman Lukaku in the role instead of Didier Drogba. Much can be made of his inability to manage millennials and at times, it’s hard not to have a streak of sympathy for him in that sense. Recently, a Paul Pogba video went online involving the French midfielder and Jesse Lingard in the changing room and the initial feeling was it was like something from the leg-up programme. Yet consider the relationship he has had with very different characters from Iker Casillas to Sergio Ramos to Eden Hazard. 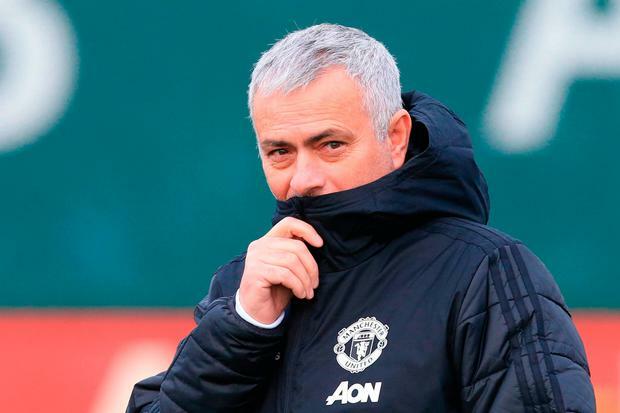 Thus, don’t think this is about their personalities, for when the list is so long and diverse, it’s about Mourinho’s personality as he continues to rule through what is a dwindling reputation. For the best today, the means justify the ends in terms of how you play producing the result. For him though, the ends justify any means, inversely causing the ends not to be particularly good. Forget even the Liverpool defeat that finished him. Instead, a few weeks back against Crystal Palace at Old Trafford, what was striking was how a mid-tier team could come to a stadium that once terrified far better teams than them, and looked like they might score each time they broke. Park the bus? We don’t think Jose Mourinho has a licence to drive it at this stage. This has been a theme but rather than fix it, he has spent his time waving fingers that represent long-ago victories at fans, this in a sport where time waits for nobody to the point even Leicester had a point in sacking Claudio Ranieri the season after he did the impossible. As further contrast, can you imagine Guardiola celebrating what’s in the past when the results are no longer forthcoming? Because of that, what’s next for him is tough to answer, as it’s reached the stage where he’s an anchor tied to the feet of teams at a time when the sport is played more freely. Remember the three Elvises in Father Ted? His career has now moved on to the Jack phase, as where once his rantings and ravings were about distracting and taking the pressure off his achieving teams, in modern times it’s been about distracting from the lack of achievement. If you don’t adapt you will no longer be relevant, no matter the CV. For when the brilliance is perceived to have stopped, the mad genius can seem merely mad. Just look at his two roles before he arrived Old Trafford. At Real Madrid, he demanded players follow his conspiratorial view, always castigating referees, until the spell had been broken for them. Then came the latest and likely last stint at Chelsea, where he became obsessed with Sky Sports’ presentation of Diego Costa. It got to the point where one of the biggest names about requested a spot on ‘Goals on Sunday’ to have a go at Chris Kamara and Ben Shepherd. It made you wonder why United went for him in the first place, but that is a telling insight into a business more than a club, with profit coming first. A name like his still attracts attention which in turn attracts income. For some time, a lot of talk has been of the boardroom being split between the shrinking influence of the old football side and the growing power of the corporate side. Ultimately, his appointment was about a club deflecting from deeper issues rather than confronting them. To think now there is an entire generation that have never experienced the fear factor of playing United. But remember that while Mourinho was a figurehead, there was failure above him and around him too. The club had fallen behind not just best practice, but common practice. Mourinho was a part of that. For instance, compare United with a couple of miles across town, as all aspects of City have become geared towards a defining philosophy. So much so that those there speak off the record of “upskilling” all the coaches so even if Guardiola eventually goes, there’s a legacy. What’s Mourinho’s legacy though? And what’s United’s philosophy? At least this is a step in the right direction, the first in a long time. Getting rid of yesterday’s man to save United becoming yesterday’s club.